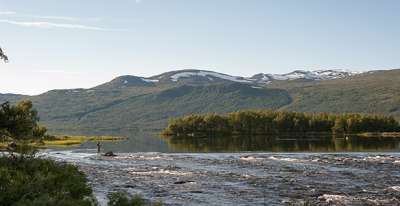 The most famous hiking trail in thte area is Kungsleden – “the King of trails” – but there is som much more to explore! Spend the day in the mountains, and then enjoy good food and relax in a comfortable bed in the evening. It is up to you to choose a suitable trip for the day. If your goal is to reach the summit, we have picked our favourite tops here. Level of difficulty is up to you to choose. Do you want to hike for some days and stay overnight in a cabin or tent? The most famous hiking trail in Sweden – Kungsleden – starts in Hemavan and streches all the way to Abisko – a distance of 450 km. The first part of it – 11 km – to the first cabin, Viterskalsstugan is perfect for a daytrip. 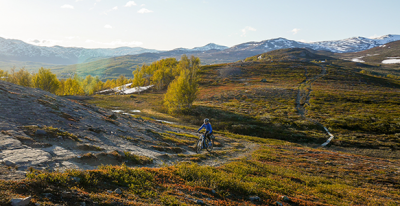 Drottningleden – the Queen´s own trail from Laisaliden to Hemavan offers spectacular views and is relatively easy to walk. The Hiker´s Guide presents 22 hiking trails in and around Hemavan Tärnaby. How do I travel here and if I want to hike between Hemavan and Ammarnäs how do I coordinate travel arrangements? There are direct flights between Stockholm and Hemavan. Long distance busses make several journeys to and from Umeå via Storuman every day. To get to Ammarnäs use the bus from Vännäs. Visit resrobot.se to help you plan your journey. Länstrafiken’s local busses connect Ammärnäs with Hemavan. It is 230 km by road (or hike the 80 km Kungsleden trail). Bus timetable is found on tabussen.nu. You could also book a helicopter flight from Hemavan to Ammarnäs. tabussen.nu. If I want to stay in the STF Mountain hut, how does it work? 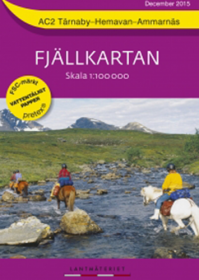 At the Svenska Turistföreningens website you can learn more about the cabins along Kungsleden. Are there any other cabins where visitors can stay? 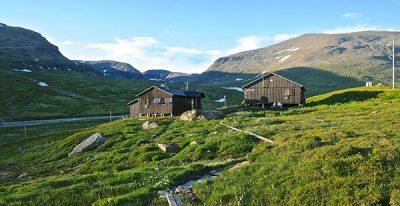 The county administration (Länsstyrelsen) run cabins and shelters at different locations within the Vindelfjällen Nature Reserve. Although it is possible to stay over night in these cabins they are not staffed and offer only basic facilities. This is what the county administration has to say about their cabins in the mountains. free accommodation in huts. Basic accommodation with simple barrack bedding, stove, table and chairs. Fire wood provided. Other cabin accommodation is available primarily for staff and reindeer herders. Costs 100 kr per night if there is room. Shelters are to be used for resting. They should only be used for night accommodation in emergency situations. Fire wood is not provided. On the nature reserve’s website (Vindelfjällen) it is possible to map where these cabins and shelters are located. When does the hiking season start and end? 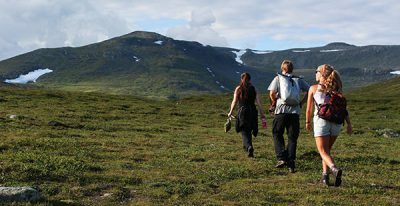 Hiking season normally begins in mid / late June and the cabins along Kungsleden are open from Midsummer to the end of September. If you plan your hike earlier or later than this we recommend you to contact the local tourist office +46 (0)954-104 50, or otherwise seek information on current snow water and weather conditions along the part of the trail you plan to hike. What to do if I see raindeer on the mountain? Learn more about raindeer on the mountain on the Svenska Turistföreningens hemsida. How fast do I walk in mountain terrain? Off course depending on your physical condition, but approximately 3 km/hour in varied mountain terrain, and in steep, wet or stoney terrain 1.5-2 km/hour. The distance between the cabins along Kungsleden is mostly around 12-15 km, and for most hikers that is a suitable distance for a day, if you walk with packpack. The Right of Public Access gives everybody the freedom to roam the Swedish countryside. But there are some things you must keep in mind when you are out walking, camping, climbing, picking flowers or doing something else in the countryside. You may pitch your tent for a night or two in the countryside as long as you don’t disturb the landowner or cause damage to nature. In national parks and nature reserves there are special rules which may restrict the Right of Public Access. You can walk or ski pretty much anywhere in the countryside. The exceptions are to ensure that you do not disturb and do not destroy. For example, you must not intrude on the grounds of a house or cross cultivated ground. The Right of Public Access does not cover hunting or fishing. You may light a fire in the country if conditions are safe. It is important that you choose a place for your campfire where there is no risk of it spreading or causing damage to soil and vegetation. Gravel or sandy ground is best. You may gather fallen cones, twigs and branches for your fire. But you must not cut down trees or shrubs or remove twigs, branches or bark from living trees. Fallen trees must not be used for fuel. You are free to pick flowers, berries and mushrooms in the countryside. But keep in mind that some plants are protected, meaning that they must not be picked. Special rules apply in protected areas, for example national parks and nature reserves.